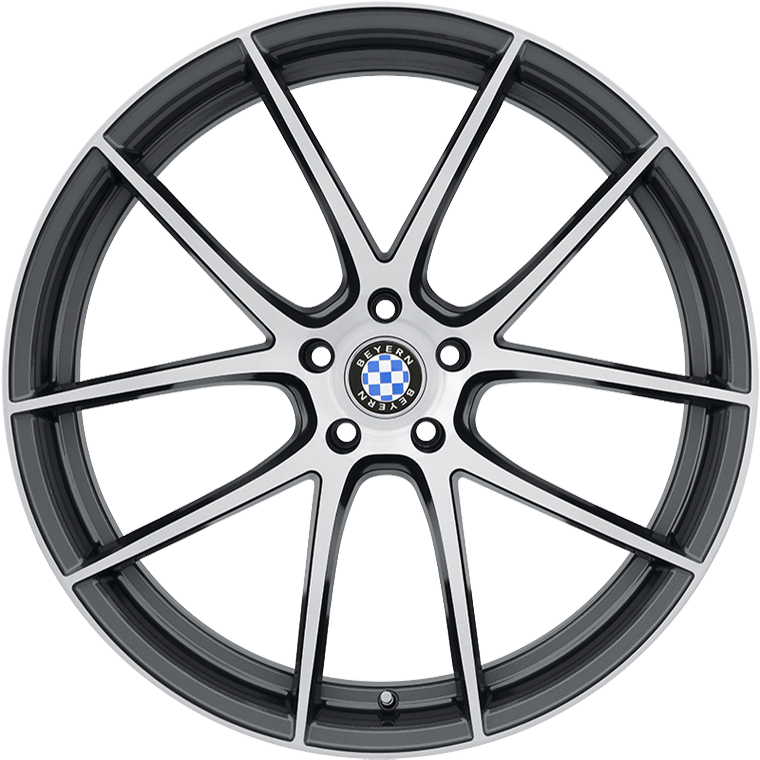 Beyern Ritz is the perfect wheel for those who want to upgrade to a lightweight Rotary Forged® wheel while maintaining an OEM look on their BMW vehicle. Beyern Ritz is the perfect wheel for those who want to upgrade to a lightweight Rotary Forged® wheel while maintaining an OEM look on their BMW vehicle. It maintains a clean and simple design to keep a low profile while offering widths up to 11 inches wide for those who want improved handling. Ritz styling includes simulated ball milling and is available in Gloss Black and Gloss Gunmetal with Brushed Face. The Ritz Rotary Forged® wheel is manufactured using a highly advanced production technique called Rotary Forging. This alters the molecular structure and enhances the strength of the alloy. The benefit is a much lighter weight than a regular cast wheel. Most importantly, the weight saving is in the outer rim of the wheel which dramatically reduces rotational mass and enhances vehicle performance.